In the first post Rust Removal Oxalic Acid (Part 1) I mentioned that I received a promising tip on rust removal using oxalic acid from a Mr Akagiyama. Impressed with the results Mr Akagiyama obtained, I decided to order some to test for myself. 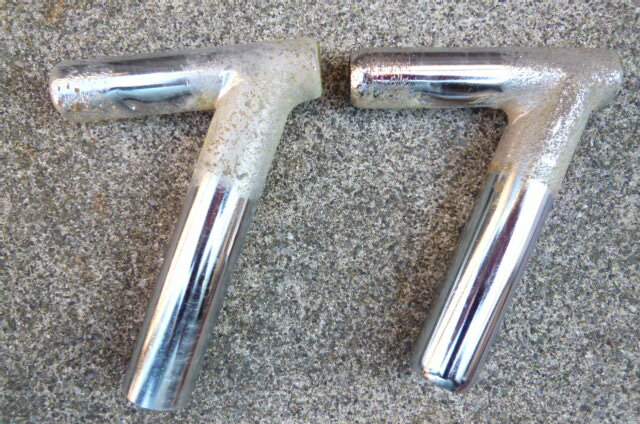 First I tested it on a old tool in Rust Removal Oxalic Acid (Part 2). 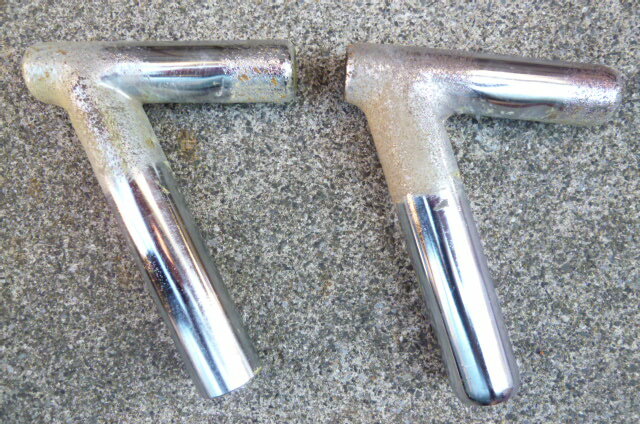 In this post I will show the results of having tested oxalic acid on removing rust from chrome. For test pieces I decided to use two old badly rusted seat pillars. 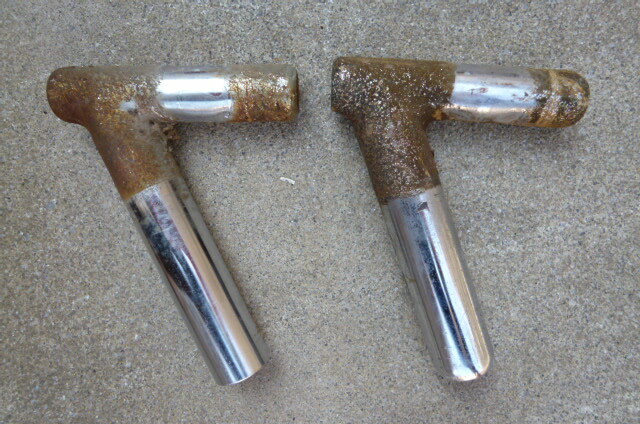 The rust is heavy to the extent that it is beyond surface rust and is actually pitted having eaten its way through the original chrome plating. 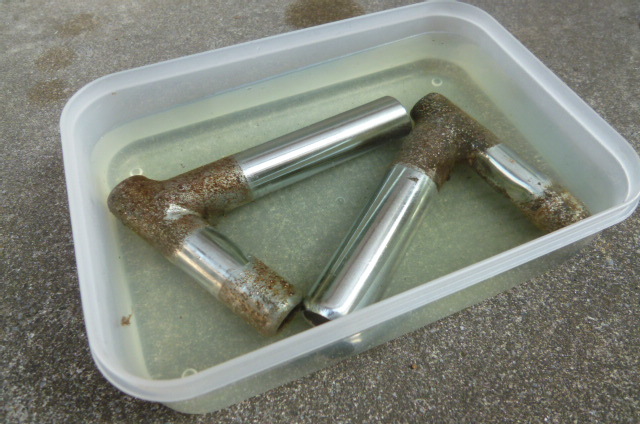 The test pieces were immersed in a small oxalic acid bath. 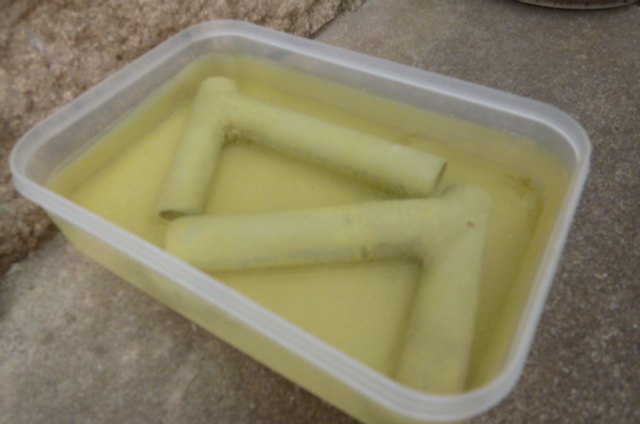 Three days in the acid bath and the seat pillars are covered in a yellowish film. 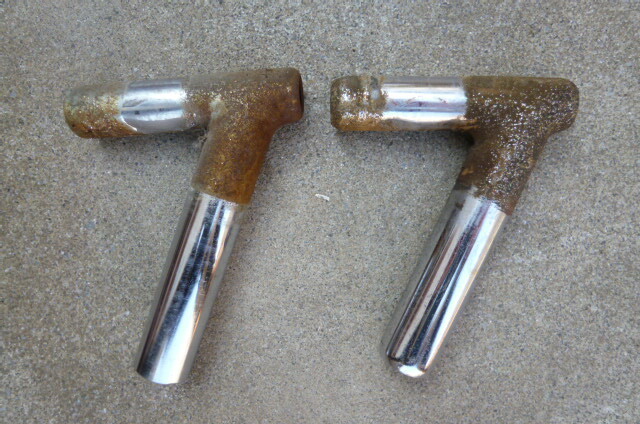 Oxalic acid is a great labor savings method for removing surface rust. 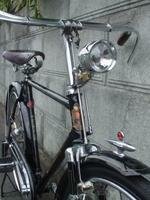 But, keep in mind that it can only remove rust, it cannot restore chrome, nothing can do that. It is excellent for cleaning chrome. Hats off to Mr. Akagiyama for sharing this useful tip.